Hills aren’t a problem and they can turn on a dime. Best of all they save you a lot of time so you can get back to your family and friends. In this buying guide, we’re going to take a closer look at the best riding lawn mowers available today and we’ll examine their key features. In our riding lawn mowers review section, we’ll break each product down individually to make it easier for you to make the right choice. 1. Does it Have Enough Power? 2. Is the Cutting Deck Large and Adjustable? 3. Can it Turn on a Dime? 5. How Fast Can You Go? On the surface, many of these machines may look similar, but the best riding mower for you may be very different from what suits me. If you have a lot of hills on your property you may need a little more horsepower than your neighbor with a flat lawn. Properties with a lot of trees and gardens can be tough to navigate. For these lawns, it’s probably best to look for a zero-turn model that can handle these types of pitfalls. The individual features different models offer may differ substantially, but the best riding lawn mowers have a lot of things in common. Here are 5 key questions you should ask before you even consider one for your short list. The top riding mowers have plenty of power to spare. That doesn’t mean there aren’t differences between them. As a rule, traditional riding lawn mowers normally have more power than zero-turn models, but they aren’t as maneuverable. One isn’t necessarily better than the other. It really depends on what’s more important for you. How wide a piece of grass will it cut? Is the cutting deck adjustable? The wider the cutting deck the less time you’ll spend cutting the grass. An adjustable cutting deck allows you to adjust the height to a level that you like. We all have different ideas about how short our grass should be. This option leaves the choice up to you. Some of the best riding lawn mower brands allow you turn 360 degrees without moving the machine. As we touched upon earlier this can be important if your yard features a lot of obstacles. A zero-turn riding mower will help you make sure spots on your lawn don’t get missed because they’re too awkward for your machine to reach. Fortunately, almost all riding lawn mowers these days have automatic transmissions. They’re a lot more convenient and allow you to concentrate on cutting the lawn, not on shifting gears. If the machine you’re looking at has a manual transmission it’s probably best to keep looking – that is unless you just love driving manual transmission vehicles. The top-rated riding lawn mowers all reach respectable speeds. Normally somewhere between 6 and 12 miles an hour. If a model is only capable of reaching speeds of between 2 and 4 miles per hour it’s not the best option. That is unless you have hours to spend cutting the lawn. The quicker the machine moves, the quicker you’ll be done cutting the lawn. Now that we’ve clarified some key features it’s time to take a look at the best riding lawn mowers for the money. Before we do that though, I think it’s important to mention that they aren’t right for everybody. If you have a small lawn that only takes you five minutes to cut with a manual push mower, then a riding mower isn’t necessary. In fact, it’s a waste of your money. Now that we have that out of the way, here are our top ten choices in the riding lawn mower category. Weed Eater isn’t a name I expected to include on this list. If I’m being honest, I thought they specialized in hand held weed trimmers and little else. They’re fairly new to the party, but that doesn’t mean this isn’t a great machine. At just over $1000 it’s also one of the most affordable options out there. We’ll call this our choice for best small riding lawn mower. This machine has a reliable Briggs & Stratton engine with 3 forward speeds and 1 reverse speed. There’s a slower speed for fine cuts around the edges of your gardens, a faster speed for regular cutting, and a faster one for transport. With three variable forward speeds, you’ll have that lawn cut in no time. It isn’t just the speed of a riding lawn mower that you need to consider though. It’s also important to look for a machine with a nice wide cutting deck. This Weed Eater model has you covered there as well. It features a decent 26-inch-wide cutting deck, which will significantly reduce your lawn cutting time. There have been some concerns about maintenance issues with this machine. Some customers question its durability, but it does come with a 2 year warranty and that mitigates most of your risk. No one wants a machine that has to be repaired all the time, but in fairness a lot of people that have bought this lawn mower have been more than satisfied. The bottom line is that the Weed Eater We-One 875 Series riding mower is a good entry level choice. If you want a riding lawn mower, but you’re not willing to spend thousands of dollars on one, then this is definitely an option you’ll want to consider. It has 3 different forward speeds, a 26-inch-wide cutting deck, and a two-year warranty. That’s not bad for a machine that won’t cost you much more than a high end push mower. The Cub Cadet XT1 Enduro Series LT42 is a powerful and well built machine. It’s priced reasonably for a riding lawn mower, but at just under $2000 it is still a significant investment. Most riding lawn mowers allow you to adjust the cutting deck height, but not to the extent that this one does. This machine has a cutting deck with 12 different height positions to choose from. If you’re the type of person that likes to fine tune things, you’ll like this feature. While this mower is not a zero-turn machine, it can handle very tight turns. Its turn radius is about 16 inches, which makes it more than capable of dealing with most obstacles in its way. Those flowerbeds around your trees shouldn’t pose any problem. Having to keep your foot firmly planted on the gas pedal can be a little annoying and that’s why it was a pleasant surprise to find out that this machine comes equipped with cruise control. You simply push the cruise button when you reach your desired speed and you’re all set. Your foot will thank you! The Cub Cadet XT1 also has a unique quick connect wash system that allows you to quickly clean out debris and grass clippings. It makes cleaning this machine a lot easier and gives it a clear advantage over some of its competitors. The only real problem with this machine is that the seat is a little sloped which causes you to slide forward. It would be nice if you could adjust the seat to eliminate this problem. Other than that there really isn’t a lot to complain about. This is a quality riding mower with some unique features that help it to stand out. Who doesn’t like cruise control and a built in easy wash system? In today’s environmentally conscious world it’s probably not a surprise to anyone that there’s a cordless electric riding mower out there. The Recharge Mower G2-RM12 features a 36-Volt rechargeable motor that produces zero emissions. If you’re concerned about your carbon footprint this is a great option for you. It’s not as fast at some of its gas-powered cousins with a maximum speed of 5 mph so it will take you a little longer to get around the yard. It’s probably not ideal if you have a couple of acres to cut, but it will do a good job on medium sized lawns. It all depends on whether speed or the environment are of more importance to you. Typically, you can cut about 2 acres before you have to recharge. Another unique feature of this riding mower is its auto decelerate pedal. This machine has one pedal for accelerating and for braking. You simply press on the pedal to move and take your foot of the pedal to stop. It’s something that takes a little getting used to, but it can make life a little easier. It’s nice to know that there is an environmentally friendly, battery powered option in the riding lawn mower market. With the Recharge Mower you don’t have to sacrifice your love of environmental issues to cut your lawn. This may not be the fastest mower around, but it will get the job done. Poulan Pro is a trusted name in riding lawn mowers and the PP155A42 model is a powerful choice with some great features. With a 15.5 hp Briggs & Stratton engine it has more than enough power to handle most lawns. A nice feature of this mower is its 42 inch vented deck which creates better airflow so that the mower can move more smoothly in longer grass. The air flows out the bottom of the deck which pushes the grass down and makes it easier to cut. 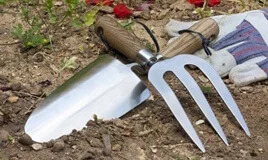 It may seem like a minor feature, but it’s one that can make cutting a lawn much easier. The transmission is automatic so you don’t have to worry about shifting gears as you drive. When you’re cutting a lawn there are a lot of tight turns so this is a feature that will make cutting the lawn easier and safer. A manual transmission may be fun to drive in a car, but it’s not a great thing for a lawn mower. There are 6 different cutting height positions to chose from so you do have a fair bit of flexibility. This is especially helpful if you have to cut through some longer grass. You can simply adjust the height to prevent the machine from getting bogged down. This is a heavy machine at well over 400 lbs which does make it a little awkward to maneuver. Its turn radius is also fairly wide because of its size which means its not ideal in tight turn situations. If you have a wide open lawn this mower will do a great job, but if you have a lot of tight turns it may not be the best option. Overall the Poulan Pro PP155A42 is a powerful machine that’s perfect for a large, obstacle free, piece of property. The vented deck also makes it ideal for cutting through longer grass. As long as you don’t have a lawn with a lot of obstacles and tight turns this is machine well worth considering. If you’re looking for a riding lawn mower that will get the job done, but won’t brake the bank the Troy-Bilt 420cc Premium Neighborhood model should make your shortlist. This mower features a sleek, compact design that’s ideal for medium sized lawns. If you have a lawn that’s no more than 2 acres this machine can do the job. This isn’t a heavy-duty machine, so if you have a hilly, large lawn this isn’t the machine for you. As long as your property is fairly even, this mower will satisfy your needs. It has a top speed of 4.25 mph so you won’t brake any speed records, but it does have a 6-speed transmission so you do have a lot of control. One of the best features of this riding mower is its 30-inch cutting deck which is better than the industry standard. You might not be moving to fast, but you can cut a lot of lawn with each pass which somewhat makes up for its lack of speed. There aren’t too many riding lawn mowers at a similar price point with a wider cutting deck on the market. The cutting deck also has 5 adjustable height positions, so you can decide how tall you want your grass. It does have to be adjusted manually which is a minor annoyance, but not a major concern. It simply means you’ll have to stop the machine and get off it before making the change. The Troy-Bilt 420cc Premium Neighborhood riding lawn mower strikes the right balance between features and affordability. It isn’t the fastest riding lawn mower, but it has a 30-inch cutting deck which is much better than the industry average. Overall, this is a great little mower. When it comes to outdoor power equipment Yard Machines is a name that most of us are familiar with. A list like this simply wouldn’t be complete without considering an option from Yard Machines and the 420cc 42-Inch model is our choice for this list. This is a capable machine with some great features. Let’s start by looking at its most impressive feature – this mower has an impressive 42-inch wide cutting deck. That means you can cut a lot of lawn each trip up the lawn. There aren’t too many riding mowers that can match it. This mower also features a 7-speed transmission so you have considerable control over the speed of your mower. It’s ideal if you have a hilly lawn as you can quickly adjust your speed to handle those challenges. It’s versatile enough to be used in almost any situation. Riding lawn mowers can save you a lot of time, but not if you have to follow behind them picking up grass clippings. Fortunately, this model also has a bagging connection to collect those clippings for you. It can also mulch as well if you prefer. This is a heavy machine at close to 500 lbs so you wouldn’t want to lift it. It’s also a pretty big machine so it’s not ideal for tight areas. If you’re tight for space in your garage this riding mower is probably not what you’re looking for. As you might expect from a company with a reputation like Yard Machines, they’ve made a great riding lawn mower. The 42-inch cutting deck is one of the largest ones around and the 7-speed transmissions makes it possible to navigate just about any terrain with this machine. It is a large machine, but as long as space isn’t at a premium in your garage that shouldn’t be a major concern. Occasionally, a product comes along with the potential to redefine the category and when it comes to riding lawn mowers that machine may be the Raven MPV7100. This machine is so much more than just a riding lawn mower. It’s a utility vehicle, it has a hybrid gas/electric motor, and it can be used as a charging station for electric devices in remote locations. The best part is the manufacturer of this mower hasn’t sacrificed anything when it comes to lawn cutting capabilities to add these extra capabilities. It has a 46-inch-wide cutting deck which is virtually unheard of. It also has a maximum speed of 17 mph which means you can cut a lot of lawn in a short period of time. When you want to use it as utility vehicle you can remove the cutting deck. You can also attach a small trailer for towing capabilities. It can easily pull up to a 550 pound payload, making this a very useful vehicle. There aren’t many problems with this mower, but some owners have had problems with its mechanical reliability. Some have expressed frustration with trying to get the blades to engage. Overall though, this mower has largely positive reviews. The Raven MPV7100 is an impressive machine. Not only is it a very capable riding lawn mower, it’s also a great utility vehicle that will make all of your outdoor projects that much easier. To top it all off it can even charge your electrical devices when you’re on the go. We’ve already looked at one machine by Poulan Pro, but the PP24VH54 model is another great product that belongs on this list. This machine has one of the largest cutting decks around at 54 inches which covers a lot of real estate with every trip. It doesn’t hurt that it has a 24hp engine to drive it forward either. This machine is an impressive mower. It’s equipped with an auto hydrostatic transmission that makes it easy to maneuver. On top of that it has a patented ReadyStart starting system that automatically senses the temperature of the engine and makes any necessary adjustments so that your mower starts every time. It’s arguably one of the most reliable riding mowers on the market. For a big machine, it’s surprisingly capable when it comes to cutting in tight spaces. It has a 6-inch turning radius, which means you can easily navigate around your lawn. You won’t have to worry about finishing things off with your push mower as this machine won’t leave any grass behind. The Poulan Pro PP24VH54 has one of the largest cutting decks of any riding lawn mower we’ve reviewed on this site. When you combine that with a powerful engine and a tight turning radius this mower has to be considered one of our favorites. There aren’t many other machines in its class. Zero turn riding lawn mowers are ideal for yards with a lot of tight turns, trees, and small gardens. They can quite literally turn on a dime. In this category, Husqvarna is the undisputed king and the RZ3016 is one of their best models. This mower boasts a 16.5 hp Briggs & Stratton engine that’s both powerful and durable. The cutting deck on this mower is not as large as you will find on other riding mowers we’ve reviewed, but it’s still a respectable 30 inches. It’s likely the cutting deck was kept smaller to make it easy for this machine to operate in tight spaces, which it does with ease thanks to its zero-turn radius. If your lawns a bit of an obstacle course, this is the mower for you. This mower also features a 12-volt electric start, which makes for a reliable start every time. It has a 3 gallon gas tank that should be more than enough to keep you going until the job’s complete as well. Combine all that with a sturdy construction and you have a winning recipe that will keep your mower humming along. The RZ3016 moves at a decent pace, reaching a maximum speed of just over 6 mph. It really is an easy machine to get around on and to top it all off you can control everything with your hands – there are no pedals! That makes it a great option for anyone who’s suffered partial or complete loss of use of their lower extremities. The Husqvarna RZ3016 is a powerful and versatile machine. It can turn on a dime and it’s exclusively controlled by hand. The electric start is a great feature and the fact that it can hit speeds of more than 6 mph is impressive. At a little over $2500 it’s not the cheapest riding lawn mower on the market, but it’s still priced fairly reasonably. The Husqvarna Z254 is a step up from the RZ3016. This mower has a more powerful 26 hp Kohler 7000 engine and it has wider wheels for greater purchase on your lawn. It’s built with durability in mind and is equipped with the same zero-turn capabilities of its smaller cousin. It’s the class of the zero-turn sector. With this model, Husqvarna decided to pull out all the stops. 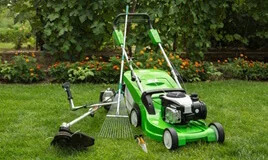 It even has a large 54 inch cutting deck that will make cutting your lawn considerably quicker. It might not be quite as maneuverable as smaller models, but its zero-turn capability largely makes up for this. Having to control everything by hand may take a little getting used to, but once you get the hang of it you won’t miss foot pedals at all. This machine makes cutting your lawn almost effortless. That’s not just because of the hand controls though, it’s also designed to draw air from above and below the deck which lifts the grass with ease making for a nice smooth cut. Safety hasn’t been sacrificed either. It comes equipped with powerful headlights to light your way in the dark, anti-slip foot areas, and a protective bumper to protect your machine from damage. With proper care and maintenance, you should get years of use out of this machine. The Husqvarna Z254 is without a doubt one of the best riding lawn mowers on the market. With its zero-turn capabilities and 54 inch cutting deck it has a lot going for it. When you couple that with some great safety features you have a riding mower that will make you the envy of your neighbours. A riding lawn mower is a good idea if your property is any larger than half an acre. It will save you time and it’s a lot easier on the body. If you’ve ever tried to cut a large lawn with a push mower, you’ll know exactly what I’m talking about. Throughout this guide, we’ve pointed out some of the most important features you should be looking for. It’s important to look for a machine with a wide cutting deck as this will reduce the amount of time you’ll have to spend cutting your lawn. You should also look for a machine that moves at a decent pace. While all of the models we’ve reviewed here are great choices, there are two that we believe are just a little bit better. The Poulan Pro PP24VH54 and the Husqvarna Z254 are our top choices. Both of these machines feature impressive 54 inch cutting decks and they’re versatile and durable machines. We didn’t have the time or space to discuss every available model on the market, but we believe we’ve picked the best ones. We encourage you to follow the links and check out each model for yourself. Riding lawn mowers are more expensive, but they will make your life easier and that’s a great motivating factor.